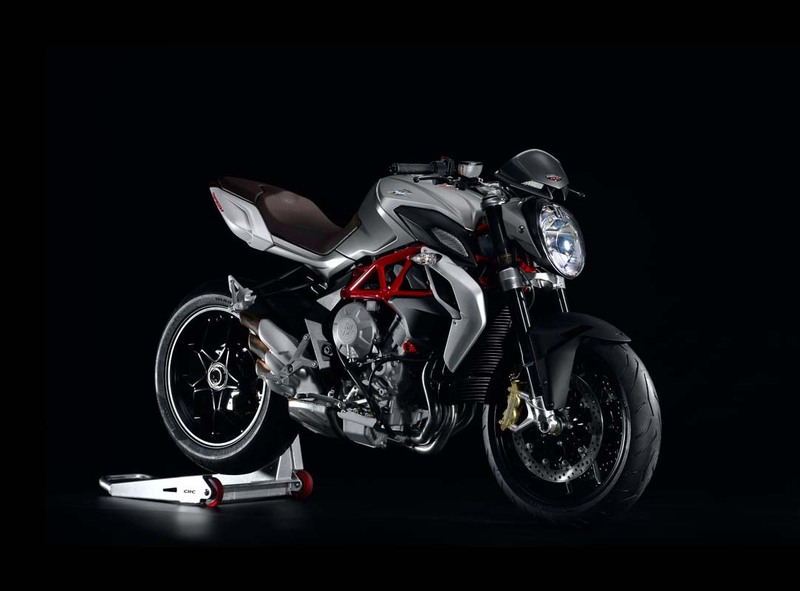 Using the same 798cc three-cylinder motor that will power the MV Agusta Rivale, the MV Agusta 800 is a stroked-out version of the Brutale 675, with the stroke length going from 45.9mm to 54.3mm, while the bore remains 79mm. Power comes in at 123hp, with 59.7 lbs•ft of torque at 8,600 rpm, which means the Brutale won’t be nearly as peaky with its horsepower as the Brutale 675. 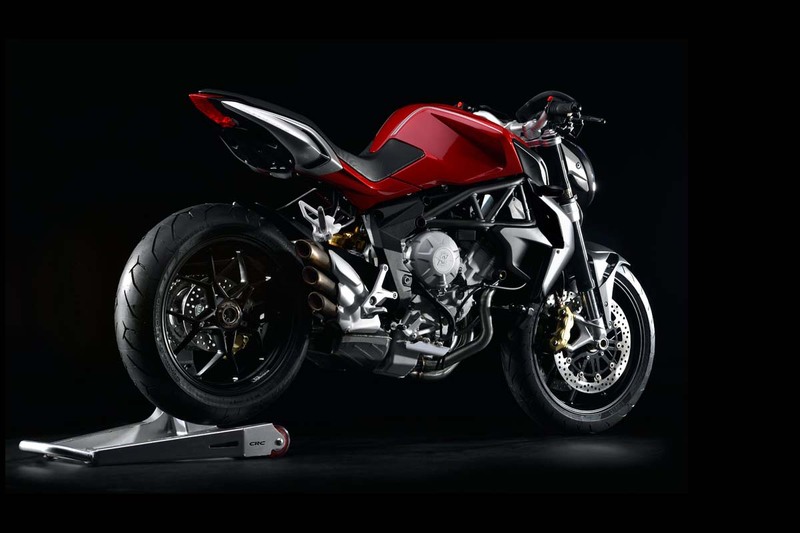 MV Agusta is claiming a 368 lbs dry weight for the Brutale 800, which is 9 lbs heavier than the Brutale 675. 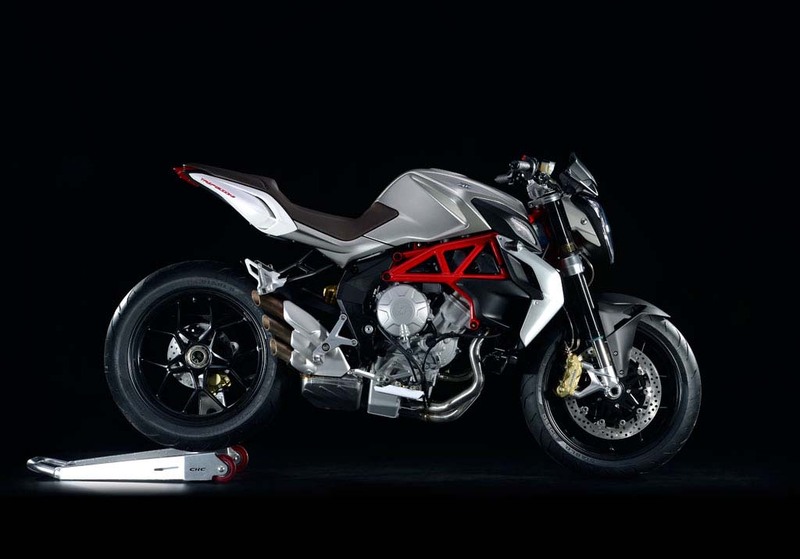 Like the MV Agusta Brutale 675, the MV Agustal Brutale 800 has an optional electronically assisted shift (EAS) system, which comes standard on the white / blue pearl “Italy” edition. On notable distinction that the Brutale 800 has over the Brutale 675 is that its suspension is fully-adjustable, both front and back, while the brakes have also been upgraded to higher-spec Brembo monoblocs. We lamented about when the 675’s suspension when it first broke cover, so it is good to see that MV Agusta is getting things together on the 800. Also fitted with the company’s robust MVICS electronics package, which features an eight-level adjustable traction control system, MV Agusta Brutale 800 owners are getting a fair amount of bike for their €9,990 (€400 more for the EAS option, and the “Italy” version costs €10,990, but the EAS comes as standard). However, with the Brutale 675 priced just €1,000 less, it is hard to see how the two bikes won’t compete against each other head-to-head in the already tough street-naked segment. 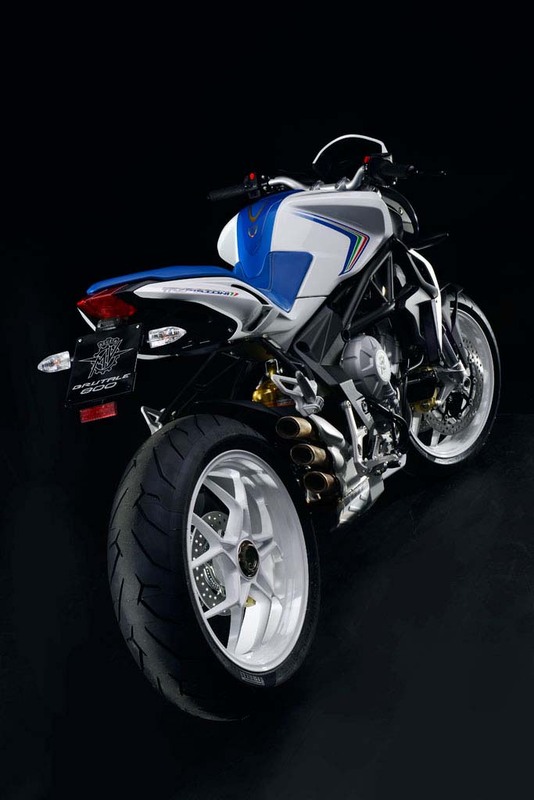 The MV Agusta Brutale 800 will get its official launch at EICMA in just two weeks’ time. No word yet on international pricing, but expect US pricing to be in the $10,000 range.